Behavioural disorders are an area where natural healthcare has provided substantial benefits to many people. The lives of many have been dramatically improved, often with simple solutions. The majority of children with ADHD appear to have some mental health issues later in life and there is much we can do to prevent this. The ADHD Masterclass has brought the leaders in this field together to give you clear guidelines on how to identify and care for these people who are facing significant life challenges. 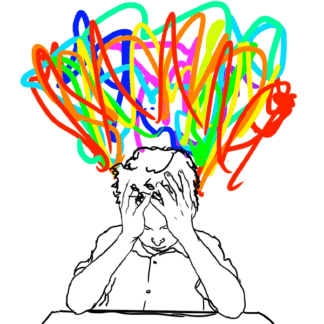 The number of people diagnosed or suspected to have ADHD is huge. Current estimates are that 10% of all children under 12 years now have a diagnosis of a behavioural disorder. It may be higher with many undiagnosed. This is a dramatic increase in recent years and with many possible causes. These include various toxins, gut dysfunction and dybiosis, nutritional deficiencies, diet and allergies, premature delivery and low birth weight. For several reasons, behavioural disorders pose a challenge to clinicians. Many of these patients are misdiagnosed as some have symptoms due to other causes that often have simple fixes but can be commonly missed. The medications prescribed for these conditions often have lifelong side-effects may not even be needed. It is critically important to obtain a correct diagnosis to rule out any underlying similar-symptom inducing side conditions. Helping children in their formative years to integrate with society and develop normally changes their lives. They can do well at school, make friends, develop confidence and go on to have healthy lives and families. There is a great deal we can do for people with behavioural disorders. This program has been designed to give you what you need to get excellent clinical results. Each of your specialist presenters have considerable expertise and experience in caring for patients with various behavioural and learning disorders. Nancy O’Hara is a board-certified paediatrician and has dedicated her practice to the integrative and holistic care of children with neurodevelopment disorders. She is a recognised leader in the training of clinicians to care for children with special needs. Julie Matthews is a globally respected nutrition expert, published researcher, accomplished author and inspirational educator. She has over sixteen years of clinical experience and scientific research with complex neurological and physiological needs; particularly autism and related disorders. Julie has lectured in more than 60 cities across three continents, been on television, radio, newspaper, blogs/podcasts and more. 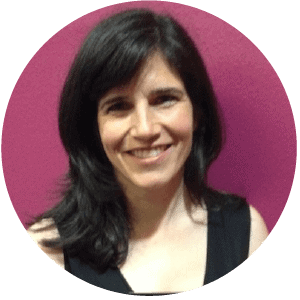 Dr Leila Masson is a consultant paediatrician who specialises in children’s health issues, including allergies, asthma, behaviour problems, autism spectrum disorders and ADHD. She has a busy clinic in Sydney where she sees children and mentors doctors in integrative paediatrics. She received her medical doctorate from the Free University of Berlin and did her paediatric specialist training at the University of California in San Francisco. She received her Master in Public Health from Harvard University and her Diploma in Tropical Medicine from the London School of Hygiene and Tropical Medicine. Dr Debby Hamilton is a paediatrician with a focus on treating children with chronic diseases such as autism and ADHD and preconception counseling. Her undergraduate degree was from Wesleyan University followed by a medical degree from Chicago Medical School, where she graduated with honours. Debbie is board-certified in Paediatrics, Physician Nutrition, and Integrated/Holistic medicine, and has a Master of Science degree in Public Health. 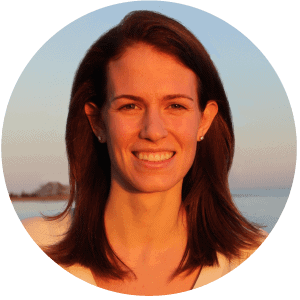 Lindsey Wells is a licensed naturopathic physician in the state of Connecticut and has focused her practice on paediatrics and family medicine. She specialises in neurodevelopmental disorders, psychiatric disorders, and allergies. She graduated from Rutgers University with a degree in public health, afterwards attending the University of Bridgeport College of Naturopathic medicine. In addition, Dr Wells is adjunct professor at Sacred Heart University. Ross Pelton received his pharmacy degree from the University of Wisconsin. He has a PhD in psychology and is a certified clinical nutritionist. 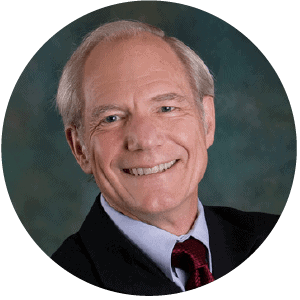 Ross who is widely recognised as the world’s leading authority on drug-induced nutrient depletions and was named one of the Top 50 Most Influential Pharmacists in America by American Druggist magazine in 1999 for his work in natural medicine. Ross has written ten books and has been a member of the Life Extension Foundation’s Medical Advisory Board for over 20 years. Dr Debby Hamilton MD, MPH is a paediatrician with experience in primary care, integrative medicine, research, speaking and writing. Her education includes an undergraduate degree from Wesleyan University followed by a medical degree from Chicago Medical School where she graduated with honors. 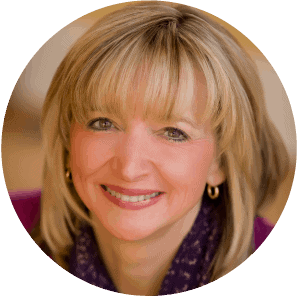 Debbie is board-certified in paediatrics, physician nutrition, and integrated/holistic medicine (AIHM), and has a Master of Science degree in Public Health. Dr. Hamilton founded Holistic Pediatric Consulting in Colorado in 2005. Her practice focuses on treating children with chronic diseases such as autism and ADHD and preconception counselling based on her book, Preventing Autism and ADHD: Controlling Risk Factors Before, During & After Pregnancy. Her book led to her collaboration in the writing of The Healthy Child Guide through the Neurological Health Foundation. She has also contributed chapters for Child Decoded: Unraveling Learning and Behavioral Disorders. is a consultant paediatrician who specialises in nutritional and environmental medicine for children’s health issues, including allergies, asthma, behaviour problems, autism spectrum disorders and ADHD. She has a busy clinic in Sydney where she sees children and mentors doctors in integrative paediatrics. She received her medical doctorate from the Free University of Berlin and did her paediatric specialist training at the University of California in San Francisco. She received her Master in Public Health from Harvard University and her Diploma in Tropical Medicine from the London School of Hygiene and Tropical Medicine. She is a fellow of the Australasian College of Nutritional and Environmental Medicine. Dr Masson is a board member of AIMA, the Australasian Integrative Medicine Association. She is also on the board of professional advisors of La Leche League New Zealand. Dr Masson lectures internationally on the subject of children’s nutrition and an integrative medicine approach to paediatric issues, including autism spectrum disorders, ADHD, allergies, recurrent infections, and autoimmune diseases. She is the author of “Children’s Health A-Z” a parent’s guide to natural therapies for common childhood ailments. Ross Pelton RPh, PhD, CCN received his BS degree in pharmacy from the University of Wisconsin, has a PhD in psychology and is a Certified Clinical Nutritionist. In October 1999 Ross was named one to the Top 50 Most Influential Pharmacists in America by American Druggist magazine for his work in natural medicine. Ross has written ten books and has been a member of the Life Extension Foundation’s Medical Advisory Board for over 20 years. Julie Matthews CNC CNE is a globally respected nutrition expert, published researcher, accomplished author, and inspirational educator. She has sixteen years of clinical experience and scientific research with complex neurological and physiological needs; particularly autism and related disorders. She has lectured in more than 60 cities across three continents, been on television, radio, newspaper, blogs/podcasts and more, and published scientifically referenced articles in journals and websites. Julie’s been featured by Price-Pottenger, honored by the National Association of Nutrition Professionals, sits on two scientific advisory boards including the Autism Research Center, and is contributing author on a breakthrough scientific research study into diet and nutrition to improve autism published in 2018. 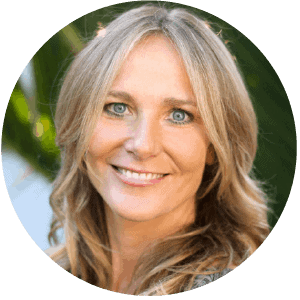 Julie is a dynamic speaker that’s educated professionals at trainings for Integrative Medicine for Mental Health, Autism Research Institute/DAN!, Medical Academy of Pediatric Special Needs, and the MINDD International Forum in Australia. Dr Nancy O’Hara MD is a board-certified paediatrician. Prior to her medical career, Dr O’Hara taught children with autism. She graduated with highest honors from Bryn Mawr College and as a member of the Alpha Omega Alpha Honor Society from the University of Pennsylvania School of Medicine. She earned a Master’s degree in Public Health from the University of Pittsburgh. After residency, chief residency and general paediatric fellowship at the University of Pittsburgh Dr O’ Hara entered general private practice in 1993 and in 1998 began her consultative, integrative practice solely for children with special needs. 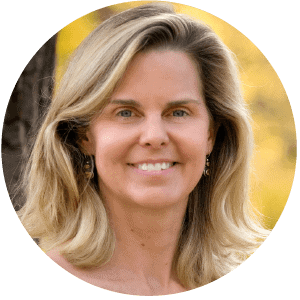 Since 1999 she has dedicated her practice to the integrative and holistic care of children with neurodevelopment disorders, ADHD, PANDAS/PANS, OCD, Lyme and autistic spectrum disorder. She is a leader in the training of clinicians both in the US and abroad. Dr Lindsey Wells ND is a licensed naturopathic physician in the state of Connecticut. She graduated from Rutgers University with a degree in public health. Afterwards, she attended the University of Bridgeport College of Naturopathic medicine. Dr Wells has focused her practice on paediatrics and family medicine. She specialises in neurodevelopmental disorders, psychiatric disorders, and allergies. She uses therapies including homoeopathy, nutrition, nutraceuticals, botanical medicine, counselling, and water therapy. This model of care addresses biochemical, nutritional, and energetic needs of each patient to improve overall health. In addition, Dr Wells is an adjunct professor at Sacred Heart University. She teaches anatomy and physiology to undergraduate nursing students. She writes and contributes to the Journal of Natural Medicine and was recognised as “Young Influencer in Naturopathic Medicine” in 2016.